Froggy Match-it is a fun, educational game for children who have just started to read. Typically, it is aimed at 5 to 6 year olds who have learnt a lot of the sounds that single letters make and are starting to work out how to read short words. Froggy Match-it is £3.99 in the UK for the full version. This and the FREE version are available from the App Store and Google Play now. 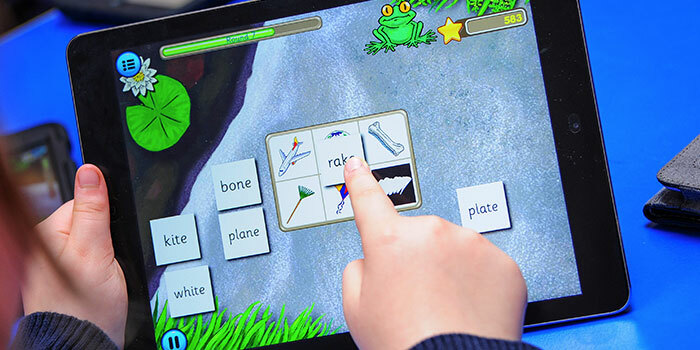 As you probably know, the majority of schools advocate the use of phonics in reading, and Froggy Match-it is an interactive reading game that is based on children’s phonics. It fits in really well with the phonics work that children are doing in the classroom. There are eleven levels covering the main phonics work done in school, with 3 or 4 reading and spelling games at each level. 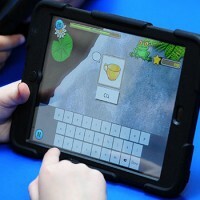 Research shows that using a tablet is an excellent learning method for children: learning is intuitive and kinaesthetic and useful keyboard skills are also developed. Froggy Match-it is an interactive phonics game that allows your child to learn how to read and spell in an enjoyable way using a tablet or phone. 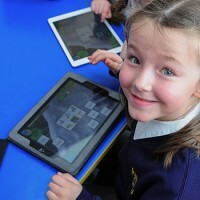 Teachers tell us that children using the app concentrate and focus really well on learning; the in-built assessment also makes sure players have really acquired the phonic skills at each level before moving on. The games are easy to understand and use and are designed with constant progression in mind, each level building on the skills acquired in previous ones. As your child plays, you can see her/him developing good reading and spelling skills. There is an option for play to commence at any level, and with each game your child can work without supervision and at a pace that suits him/her. Schools that use the Froggy Match-it app have told us that it is extremely useful for consolidating the work done in class phonics sessions. This makes it ideal for use at home, and helps you to support the phonics work your child is doing at school. At each level there are free writing sheets to download, for your child to reinforce what she/he has learnt and to practise writing. In addition, there are e-reading books available to buy, so that your child can apply newly-acquired phonic skills and become a fluent reader. Also, look out for the extra free sheets made available to download each month: subscribe to our monthly email to obtain these. The fun bonus game that accompanies the main reading and spelling games is highly motivating and allows you to praise your child and acknowledge progress and effort. As your child successfully completes each level of Froggy Match-it, credits are given to ‘spend’ on the fly game, where players have to catch flying insects and, as the game progresses, avoid some rather unpleasant ones.